Purpose: Purpose clarifies the ‘WHAT’ and the ‘WHY’ of the General Session. Although members of the General Session may serve as Ministry Leaders or Elder Management Team members, the primary goal of the members of the General Session is to SHEPHERD the flock of Seven Hills Fellowship by leading, feeding and protecting the individuals and families under their care primarily through the vehicle of Connection Groups. Activities: Activities seek to clarify the duties of the General Session. 3.  Leading and Protecting Seven Hills Fellowship. The General Session will hear reports from the EMT on issues regarding the direction of Seven Hills Fellowship, pastoral care concerns and shepherding issues. 1. Protecting the people. (Acts. 20:28-31, Titus 1:9) Elders are called to protect the flock from false teachers, from gossip and slander, and from themselves! 2. Feeding the people. (2 Tim. 4:2) Elders are called to teach the people of Seven Hills Fellowship the Word of God. 3. Leading the people. (I Peter 5:1-2) Elders are called to lead those under their care by steering them towards the Gospel, to prayer and the word of God, and by steering them to lives that honor themselves and God. 4. Praying with and visiting the people. (James 5:14) Elders are called to care for those who are suffering physically, spiritually or emotionally. 5. Serving the people. Elders of 7HF will serve either by leading a ministry, serving on the EMT and/or shepherding the people of 7HF primarily through the vehicle of Connection Groups. Values: Values clarify the ‘HOW’ of the behavior, heart and spirit of the General Session. 2. Bravery – The gospel reminds us that we are loved by God and empowered by God to lead 7HF in spite of our brokenness. So be BRAVE! 4. Loyalty – Be a Band of Brothers. Publicly support the decisions of the EMT and have one another’s back even when challenging one another. So, be LOYAL!